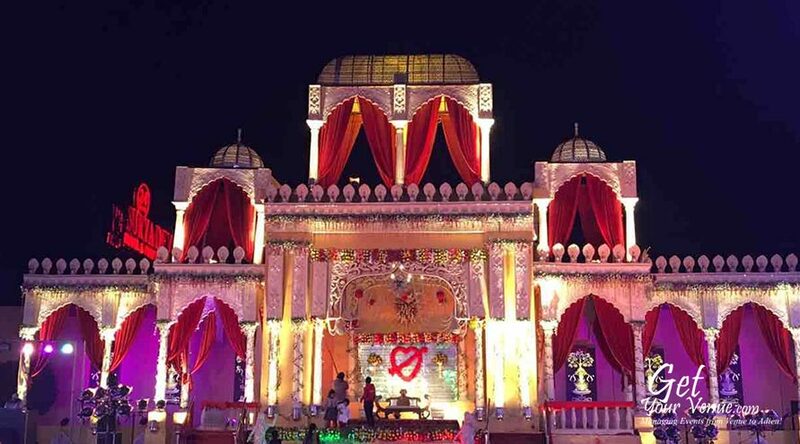 Residing on the GT Karnal Road, spread over acres of lush green land, the Suryadev Motel & Resort is beautiful and well sought after place for a variety of wedding-related events. An upscale property, it is dedicated to making your wedding the most splendid and unforgettable experience. 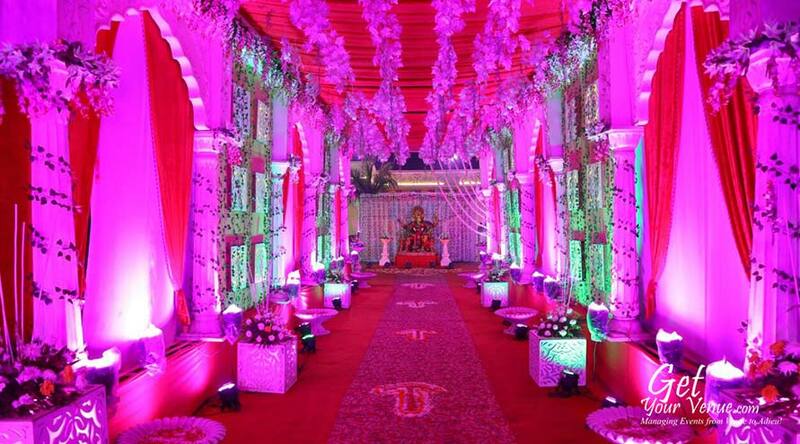 One of the top wedding venues in North Delhi, it offers top-notch services and excellent hospitality. When it comes to details such as out-of-town guests, menus, flowers, and photos, you just smile, beam and forget your worries; the venue’s dedicated team will take care of the rest. 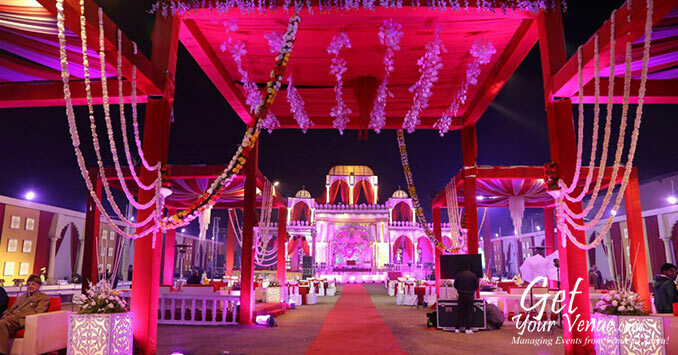 In addition to its beautiful event spaces, the venue also offers magnificent interiors, valet parking, tight security, world-class infrastructure, and many other facilities and amenities. Not to mention its dedicated staff that offers world-class service. 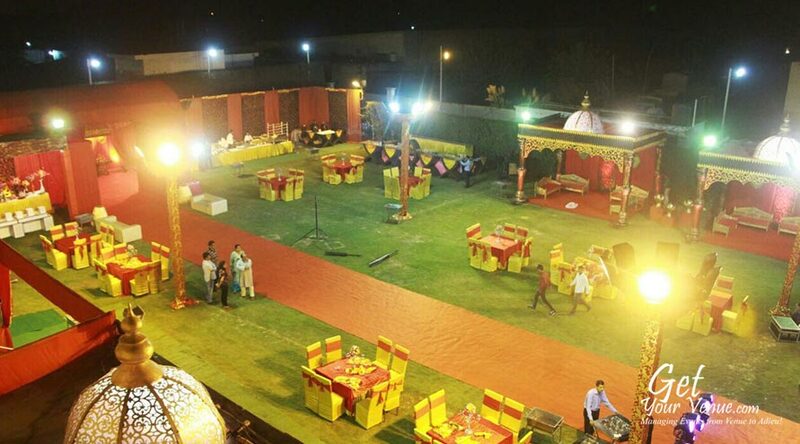 Rest assured, whether you choose this venue’s magnificent lawn or its lush green wedding garden in North Delhi, your wedding experience at any banquet area of the Suryadev Motel & Resort will be nothing short of magical. 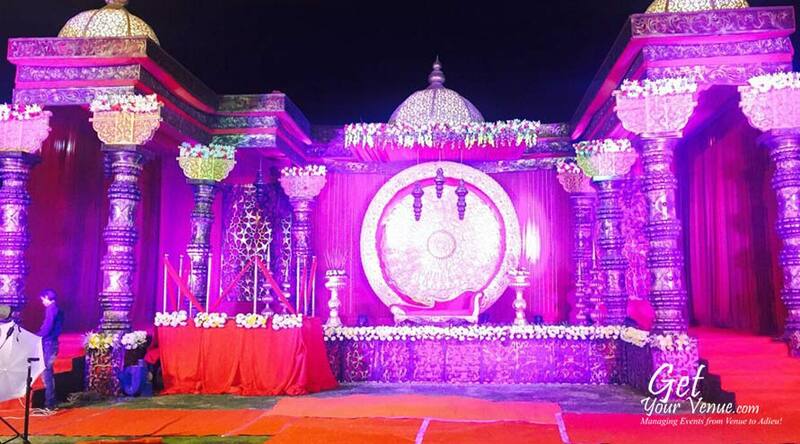 Offering two spacious venues for weddings in North Delhi, the Suryadev Motel & Resort provides impeccable service and excellent event support. 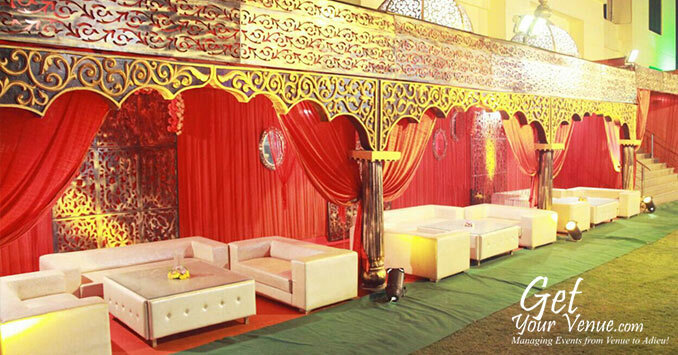 It ensures your wedding functions are memorable, remarkable and enjoyable occasions that exceed your expectations. 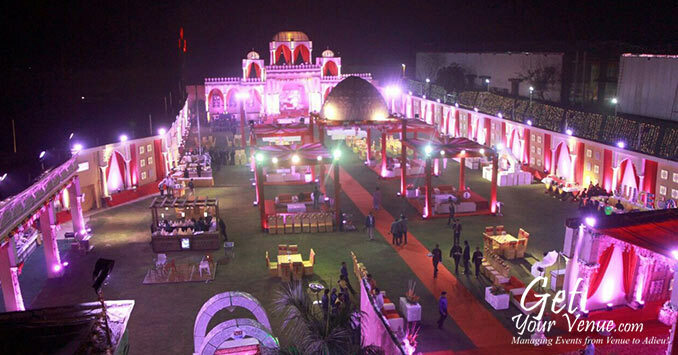 Lawn – A beautiful, spacious and elegant full-service event facility that is appropriate for any wedding-related event. Offering the best 360-degree views of any banquet facility anywhere, this well-manicured garden is 25,000 sq ft large and can accommodate 500 to 750 guests. Hall – This 8,500 sq ft large hall provides blissful couples a chic and urban setting to tie the knot and embark on a new adventure. 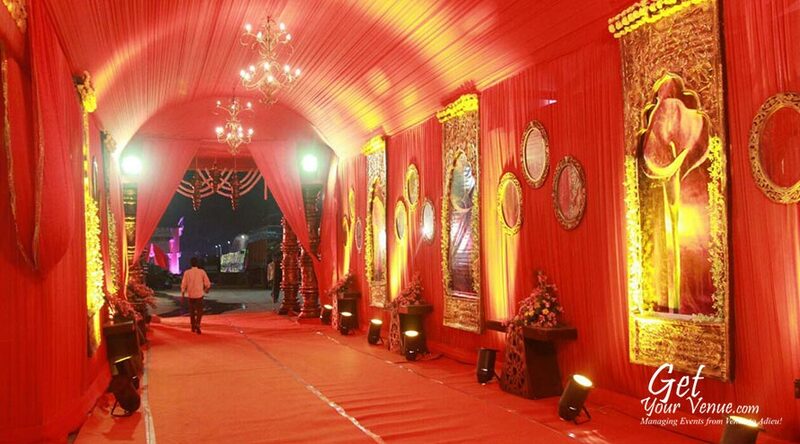 It has a seating capacity for 300 to 450 guests. 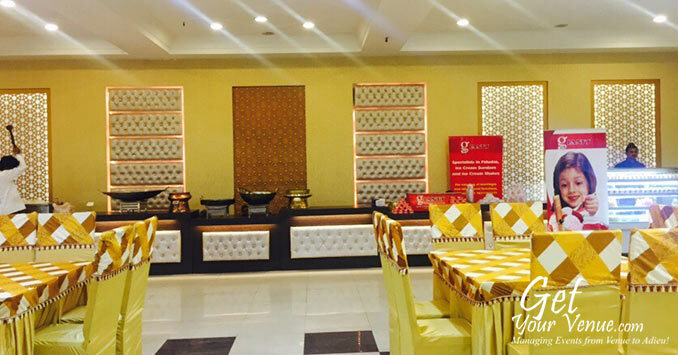 Apart from weddings, this banquet hall in North Delhi is the ideal place to host mehendi, Haldi, Sangeet, and a variety of other pre-wedding events. To book the Suryadev Motel & Resort, please dial 8800093444.